Rooibos tea has been a national treasure for generations of South African families. Enjoyed as a refreshing hot or cold beverage and healthy alternative to caffeinated coffee and black teas, recent studies have shown that not only is this unique and tasty tea a delicious drink but that Rooibos tea’s list of exceptional health benefits are growing by the day. As expected it is 100% natural with no additives, no preservatives and no chemicals while hydrating the body and boosting the immune system. These benefits come as no surprise, but recent studies have illustrated that Rooibos might be even more potent at aiding us in our aim to be healthy than what was previously imagined possible. From tumour-fighting to weight loss, scientists and health-care professionals are providing compelling evidence of the powers of this indigenous brew. 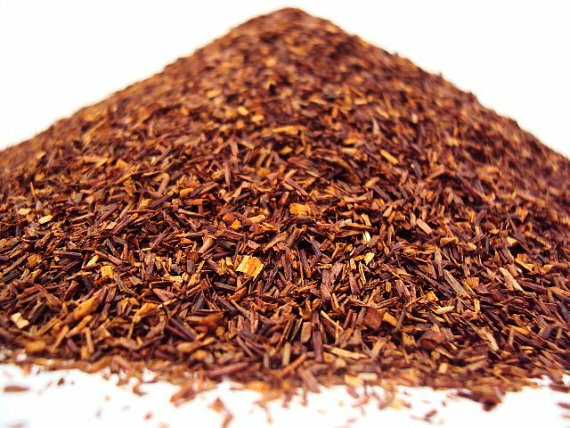 Growing only in the Cederberg area of the Western Cape Province in South Africa, Rooibos tea is the dried and oxidised pine-like leaves of the Aspalathus Linearis plant. Probably one of the most exciting properties recently announced has been the proof that it has tumour-reducing capabilities. There have been two recent studies in South Africa. 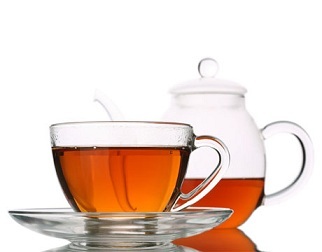 The Medical Research Council’s Promec Unit and the Oxidative Stress Research Centre at the Cape Peninsula University of Technology have both established that the polyphenol-rich extracts from Rooibos have anti-tumour and photo-protective abilities, which in essence means that it discourages the body’s immune reaction to UVB rays which results in tumour growth. On the topic of HIV Rooibos has also been tested and investigated in order to determine if it can play a role in either preventing or curing this epidemic which is laying waste to many countries’ population. One study found that special extraction of the alkaline extracts present in rooibos tea leaves have the ability to destroy HIV-induced cytopathicity, leading to the conclusion that daily intake might succeed in suppressing HIV infection. It is however important to note that drinking regular brewed Rooibos tea does not have the anti-HIV action; a special extraction needs to be prepared. This is just another notch on its belt, proving that Rooibos tea is indeed a powerful resource when it comes to our health. For everyday ailments, there are also many more benefits being discovered every year. The celebrated TV personality and health-guru Dr Oz recommends Rooibos for a myriad of ailments and deficiencies. Replacing your regular coffee or black tea with Rooibos, Dr Oz suggests that individual can lose up to 4 kg a year – all with one simple and tasty swop. In addition, drinking a cup of Rooibos at night before bedtime will aid those suffering from insomnia and other sleep-disorders, due to the fact that it eases nervous tension and headaches. If this wasn’t enough reason to pour a cup of Rooibos, Dr Oz also recommends that the tea’s high mineral content is an excellent tonic for strong and healthy hair and nails. 5 to 6 cups a day is the suggested daily intake advised. Not only your hair, nails and skin will benefit from this mineral-rich tea – teeth and bones are also strengthened. The tea also has many soothing properties – and not only limited to ingestion. A bath of 5 to 7 Rooibos tea bags can soothe inflamed and itchy skin, successfully treating eczema. Many skin-care ranges have harnessed the skin-soothing and enriching qualities of Rooibos to produce highly effective skin and facial care products. South African Rooibos tea has certainly come a long way from its modest beginning as a traditional indigenous brew. Now widely available throughout the world, people everywhere are realizing that Rooibos tea is certainly a highly potent yet delicious way to ensure you are taking care of your body and promoting overall well-being in the most natural way possible. This Rooibos article was brought to you South African grocery online company SaffaTrading. For more information on South African goods visit our website or Like our Facebook page.